Enjoy the best of Beaufort! Beaufort vacation rentals include homes, villas and condominiums offering privacy and convenience. From affordable efficiency studios to grand luxury homes, tranquility defines the Beaufort experience. 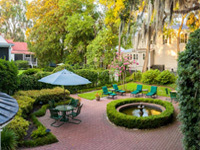 Savor Beaufort’s Southern charm when you live like a native in a well-appointed vacation rental.